INDUSTRY.co.id - Sydney - Samsung is expected to launch the Galaxy Note 8 ahead of the end of this year. Reportedly, this time the latest class of flagship phablet made by a giant technology company from South Korea is already booked. Previously, Samsung Australia mentioned on August 25, 2017 is possible Galaxy Note 8 will be launched. Especially, after Samsung Australia opened a kind of registration to get this gadget. On one of the links on its website, Samsung Australia invites potential customers to fill out a form and register their interest in Galaxy Note 8. 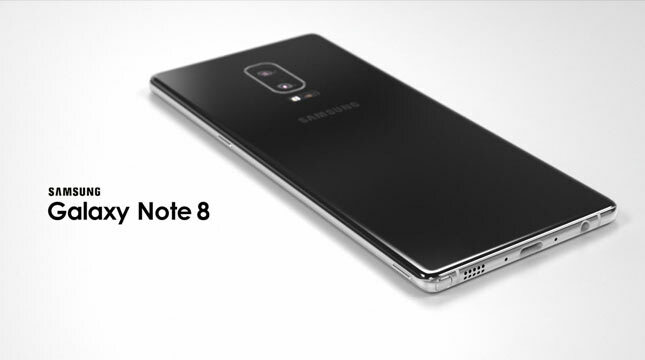 If Galaxy Note 8 will indeed be available in Australia starting August 25th, then it is assumed that this brand-new phablet will also be visited the US and other markets soon after. Just like the flagship duo Galaxy S8 and Galaxy S8 +, the presence of Galaxy Note 8 will also be a proof of Samsung's reputation after the explosion case Galaxy Note 7. All of these devices are confirmed to be in the spotlight as they are launched after Samsung goes through a difficult time handling the incident. Note 8 Galaxy is expected to use 6.3-inch screen and equipped with virtual assistant features Bixby and iris scanner. Other sources also mention if this latest Samsung phablet will be equipped also with dual camera feature on the back.